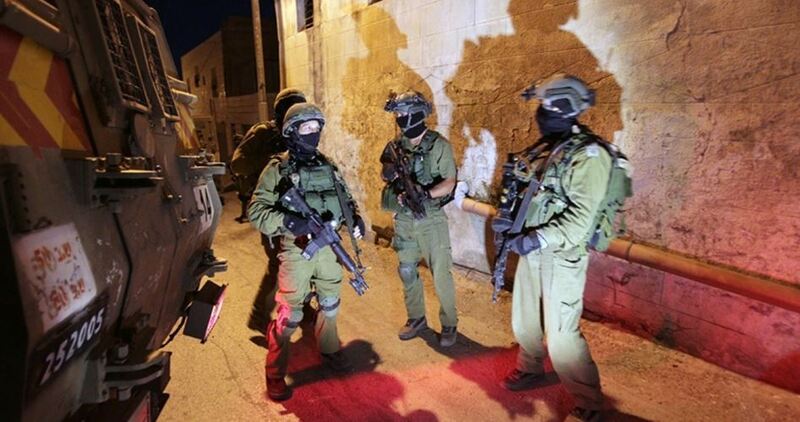 Israeli soldiers invaded, on Wednesday at dawn, the town of Beit Ummar, north of the southern West Bank city of Hebron, searched several homes and kidnapped two Palestinians. 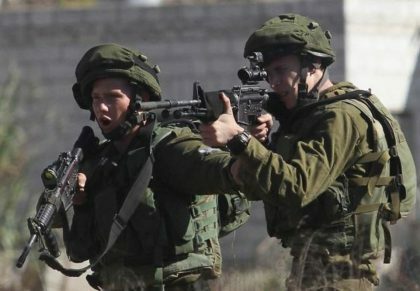 Several military vehicles invaded the town, especially the al-Latoun and al-Bayyada areas, and conducted extensive searches of homes before kidnapping two Palestinians. The Hebron office of the Palestinian Prisoners Society (PPS) said the kidnapped Palestinians have been identified as Amro Mohammad Awad, 16, and Odai Issa Zakrawi, 22. 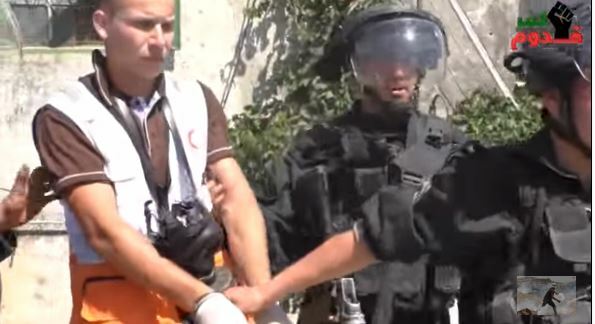 It is worth mentioning that Zakrawi is a volunteer with the Red Crescent medical services in Hebron. In addition, the soldiers invaded the home of Kamel Nayef Ekhlayyel, and informed him that they need to interrogate his son at the Etzion military base. The son is a student of Birzeit University, in Birzeit in central West Bank, while the soldiers informed his father that he needs to return to Hebron in order to be interrogated. 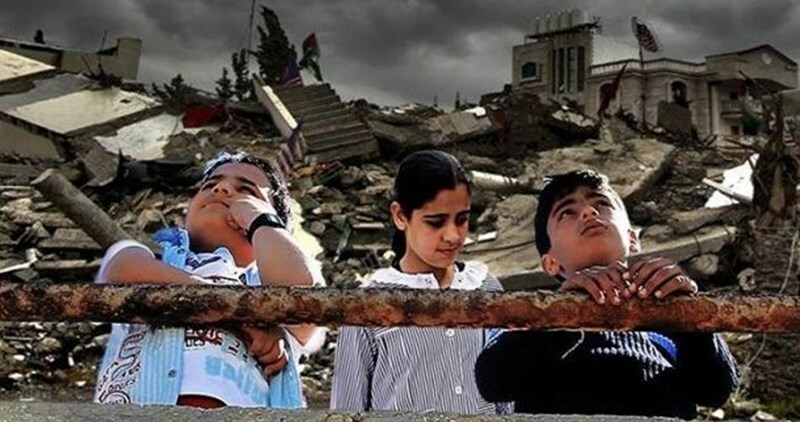 The UN Office for the Coordination of Humanitarian Affairs (OCHA) estimated that the Israeli 51-day aggression on Gaza had left 25% of Palestinian children in need of direct psycho-social support, based on the number of children affected by grave violations such as injury, killing or injury of a relative or other people. The 51-day conflict in the Gaza Strip in the summer of 2014 had a devastating impact on children, the report said. Two years on, the consequences of the conflict are still being felt and continue to take a heavy toll on children and their well-being, including their mental health. To date, it is estimated that one in four children in Gaza still require psycho-social support (225,000 children) and 33,000 others need specific case management. The most common changes included bed-wetting, unusual crying/screaming and displays of aggressive behavior, particularly in boys. OCHA called for strengthening child protection systems for the benefit of the most vulnerable children and families in Gaza. In July 2014, Israel waged a bloody aggression on besieged Gaza Strip. At least 551 Palestinian children were killed and 2,956 Palestinian children were injured. 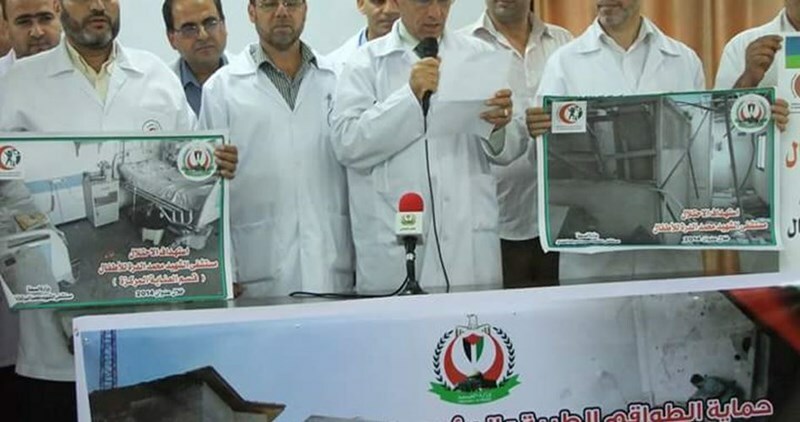 Medical staff of Martyr Mohammed al-Dura hospital for children in Gaza staged a sit-in at hospital and asked the international community to protect health care rights of Palestinian children. The Director of the hospital Dr. Jamil Salman delivered a speech during the sit-in which was conducted in order to mark the second anniversary of the Israeli attack on the hospital. He said the children of Gaza were not spared in the Israeli aggression even while in the laps of their mothers, at school, play yards or even at hospital. Israeli forces bombed the hospital in the aggression of 2014 leading to the martyrdom of child Ibrahim al-Sheikh Omar while he was receiving treatment in the hospital's intensive care unit, he said, adding that many of the hospital’s sections were damaged as well. At least 1,000 Palestinians in the southern Gaza Strip suffered from food poisoning from eating salted herring on the first on Wednesday and Thursday — the second day of Muslim holiday Eid al-Fitr. After hundreds of residents of Khan Younis and Rafah were hospitalized for food poisoning, Gaza’s Ministry of the National Economy dumped four tons of herring from markets in the two districts, the ministry’s Under Secretary Imad al-Baz told Ma’an News Agency. He added that merchants who were caught selling spoiled herring would be arrested. Lab tests determined that the salted herring were inedible due to inadequate storage or problems during the salting process. 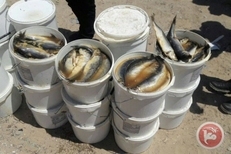 Herring, al-Baz said, need to be stored under 4 degrees Celsius. After the fasting throughout the holy month of Ramadan, herring is a popular Eid dish among Palestinians as they believe it helps avoid indigestion problems usually caused by eating a lot traditional Eid sweets and nuts while the stomach is still used to fasting. Al-Baz added that his ministry also found expired meat in some restaurants. “Some restaurants have been selling stale shawarma which was leftover from a day before.” Legal procedures, he asserted, will be taken against the owners. Director General of Hospitals the Ministry of Health Abd al-Latif al-Hajj said that in Khan Younis, 420 people were treated at the European Hospital and 311 at Nasser Hospital, and 60 were treated at Abu Yousif al-Najjar Hospital in Rafah. Some 250 were taken to al-Aqsa Martyrs Hospital in Deir al-Balah, central Gaza Strip. Israeli soldiers attacked, Friday, the weekly protest against the Annexation Wall and colonies in Kufur Qaddoum town, near the northern West Bank city of Qalandia, shot and injured an international solidarity activist, while many protesters suffered the effects of tear gas inhalation. The soldiers also detained two photojournalists and a medic. Morad Eshteiwy, the coordinator of the Popular Committee in Kufur Qaddoum, said the soldiers invaded the town during morning hours, and fired dozens of gas bombs and concussion grenades, in an attempt to prevent the residents from holding their weekly protest. The Palestinians and international solidarity activists managed to march from the center of the village, before a soldier, who was hiding in one of the homes, fired live rounds, wounding a solidarity activist with a bullet in his right thigh. The activist, who requested to remain anonymous, was moved to the Rafidia governmental hospital, in Nablus. The soldiers also detained two Palestinian photojournalists, identified as Mahmoud Fawzi and Kamel al-Qaddoumi, and a Red Crescent medic, identified as Sami Jom’a. The three were held for three hours before the soldiers released them. Clashes also took place in the town after the soldiers invaded it and fired on the protesters, causing many to suffer the effects of tear gas inhalation. Local youths hurled stones at the military vehicles, while the soldiers fired dozens of gas bombs, live rounds, and rubber-coated steel bullets. 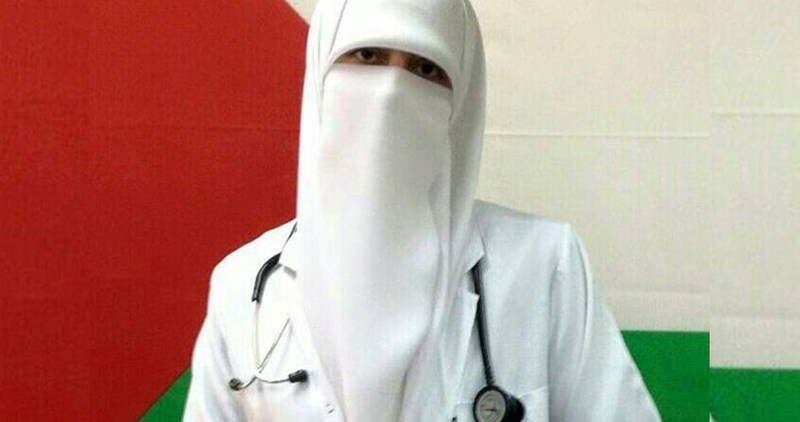 Alarms have been sounded over the 27-year-old Palestinian doctor Sabreen Waleed Abu Sharar, who is spending the holy month of Ramadan in an isolated cell in Israeli jails for the second year. The Israeli occupation courts have extended her remand for the 10th time running pending her trial on July 15. Sabreen has reportedly spent the two first days of Ramadan in an isolated cell in the Israeli Ashkelon jail, where she has been subjected to harsh psycho-physical torture. Isolated in time and space, Sabreen cannot hear the call for prayers to break her fast. “Sabreen cannot differentiate between the day and the night due to the dim darkness she has been made to endure in the isolated cell. She has been praying Allah with tears in her eyes and pain in her heart to be released at the soonest time possible,” her family said, adding that they have been prevented from visiting Sabreen since June 7, 2015. According to the Prisoners’ Media Center, Sabreen was subjected to exhaustive interrogation at her home in Dura the day of the arrest. “Echoes of the soldiers’ voices while threatening Sabreen with arrest and torture were heard overnight before she was transferred to an unknown destination without prior notification,” the center added. Since her arrest, Sabreen attended trial hearings. The occupation authorities have renewed her detention with every hearing on claims of incomplete judicial procedures,” said her father. Sabreen returned to the occupied Palestinian territories after she had spent six years in Egypt, where she pursued her studies in medicine. She joined the Alya public hospital in al-Khalil as an intern. She was arrested five months later.